Site > Request Parameter: Selecting this will add Request Parameter in the Subject form field. Fallback: Optionally add default static content if the parameter does not exist. 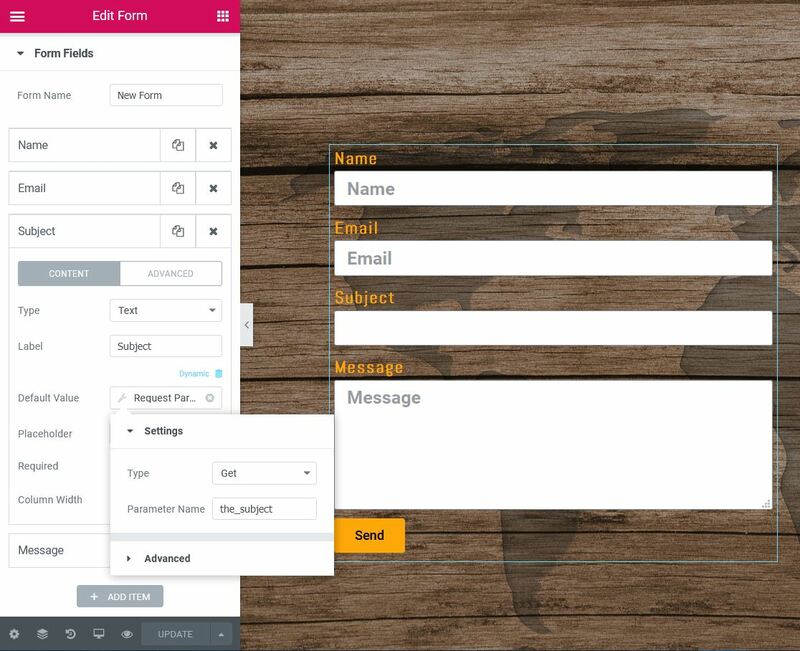 Example: Automatically pre-populate a form field by using dynamic default value.